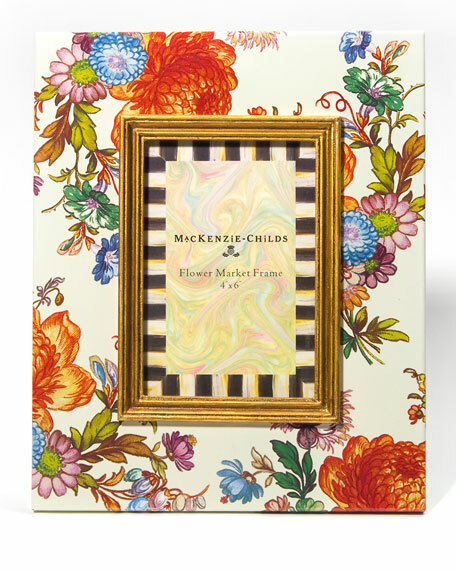 MacKenzie-Childs Flower Market Picture Frame, 4" x 6"
9"W x 11"T; holds 4" x 6" photo. Hand-glazed, heavy-gauge steel with hand-applied floral transfer decoration. Easel back covered in linen and finished with a brass logo plate.